we strongly believe in 'Advancement through Innovation' which results in new production methods in order to improve our foam based abrasive products. Our first products with the new red coating have been introduced on the market in 2002 with great success after a long period of research and development. The Flexifoam Red Products are manufactured using an extra ceramic coated red abrasive Aluminium Oxide Grit. The combination of the higer Quality abrasive grit with the in-house developed production process results in a stronger and better product. Test results show that life expectancey has increased by more than 50% in comparison to similar products on the market. On top of this, the ceramic coating is responsible for a less clogging abrasive grit which makes the sanding quality better. The coating is more flexible than it was before. 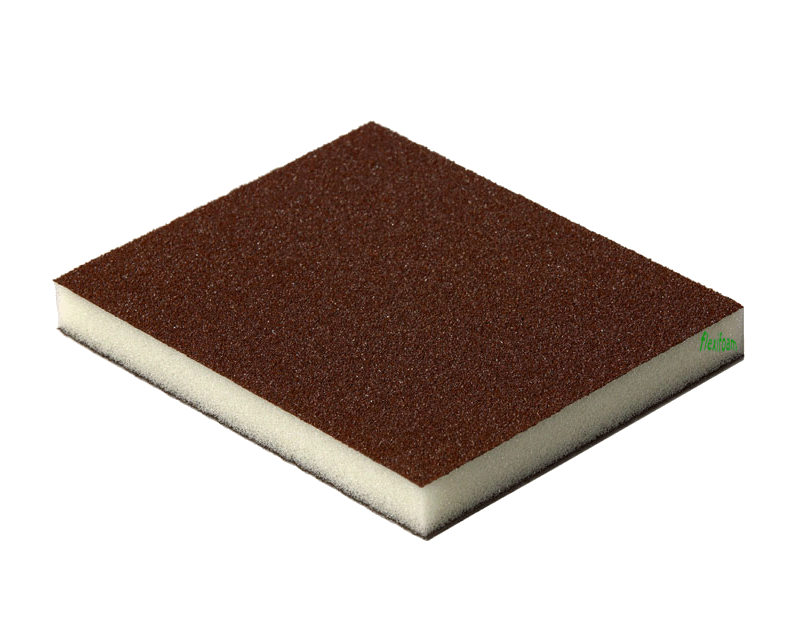 These abrasive sponges will now adapt even better to the sanding suface. 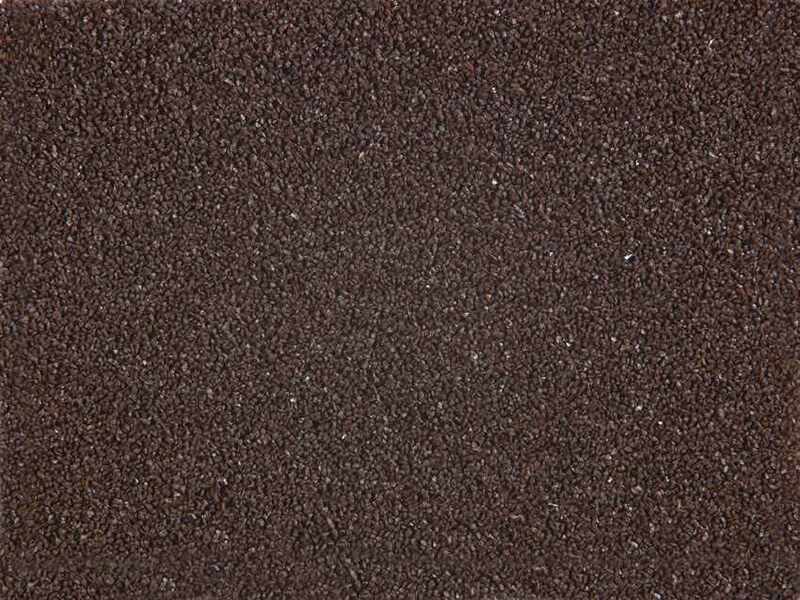 The abrasive grit is an extra ceramic coated aluminium oxide grit, this is a grit that received an extra treatment to make it stronger and longer lasting. With this ceramic coating the sanding surface will not clog as fast, in other words there will be less build up of powder in between the abrasive grit which results in a better sanding quality. The new coating priniple makes it possible to control the direction of the grits in the coating. The sharp edges from the grits are now being put upwards which makes the Red Soft Pads and Red Blocks Sharper and gives them a better cutting action. The new adhesive is environmentally friendly as it contain no added solvents. 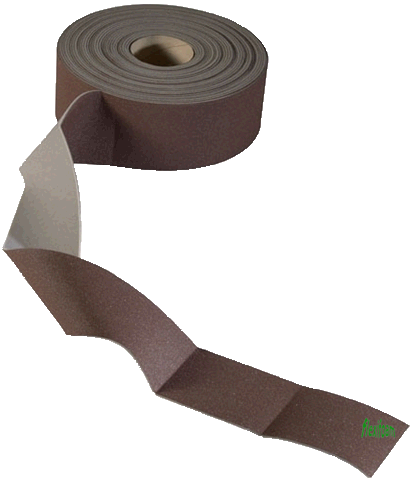 The new adhesive also has added strenght, this makes the whole product stronger. Red Soft Pads and Red Blocks won't tear as easily whilst sanding over sharp edges or corners.